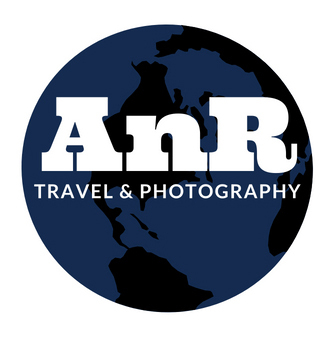 What does AnR Travel & Photography do? We take the "worry" out of planning and lighten the load of the countless hours of research needed to plan that perfect getaway. We do the work, so you can have this view! AnR Travel will use their expertise to get discounts you may not find online. If you don’t like the nuts and bolts of planning, using AnR Travel will save you the headache of making sure you have worked out all the details of your trip. Aimee & Ron will make sure your accommodations match up with your itinerary. If you're seeking a package deal, AnR Travel can take the stress out of comparing notes. Maybe you want to do something exotic. If you want to visit a specific location within your destination, AnR can and will help make that possible. Aimee & Ron will read the fine print, so you don't have to, allowing your vacation to be as stress free as possible. AnR Travel agents know where to go in the city, and if they don't, they will know someone who does. AnR Travel does more than just book flights! We work hard to make travel less stressful, so you and your travelers have MORE time to focus on getting ready for your vacation. When booking a vacation, destination wedding or honeymoon, the last thing any traveler should have to do; is worry. Moments like these are special and once in a life time memory! Remember "time" isn't something that we can get back. So, why spend it worrying if you planned that trip correctly, booked everyone's flight with all the needed requirements? Let AnR Travel have those worries, so that you can spend it preparing for that special occasion. Travel agents are vital when it comes to planning these special moments and AnR works hard to take the worry off of your plate allowing our clients to focus solely on the exciting events that lies ahead. When YOU hire AnR Travel to plan your vacation there is NO HIDDEN FEE. AnR Travel, tailors their fees according to their clients needs because we understand there is NO "One size fits all" travel package. Often times, online booking platforms will not disclose these hidden fees, the only price you see to purchase is the base pricing NOT the extra fees. It's not until you arrive to your destination that the resort, hotel, cruise line or whichever type of travel you have chosen informs you of the extra fees such as: resort daily fees, port/docking fees, car parking fees or other taxes due, just to name a few. When you hire AnR Travel we already know these "hidden fees" and when we presents you with a quote, we include any extra fees that could surface upon arrival. AnR Travel outlines in an invoice "what" is expected to be paid where and when. Allowing you to know the total cost of your trip; helping our clients to stay within the budget disclosed to us. We understand that when a budget is given to us our clients are expecting that be the total cost of their vacation; not including leisure spending once on vacation. If it helps, we can include excursion costing too. AnR Travel works hard to keep all of this withing the clients budget requested. Defining what gets paid when and where. We know your budget, respect your budget and AnR Travel works hard to assure that all of these extra or hidden fees stays within your budget. So, there is NO surprises upon arrival and you can utilize your monies on other experiences, of YOUR choice, while on vacation. We at AnR Travel provide personalized attention to each of our clients. So, do you want to stress less about planning your trip? Then let AnR Travel & Photography do the work for you. Why? Because AnR Travel Rocks!